New vehicle pricing includes all offers and incentives. Please check dealer for factory incentive eligibility – some rebates may not be eligible for everyone. Tax, Title, Tags and $489 Doc Fee not included in vehicle prices shown and must be paid by the purchaser. While great effort is made to ensure the accuracy of the information on this site, errors do occur so please verify information with a customer service rep. This is easily done by calling us at (520) 477-0564 or by visiting us at the dealership. 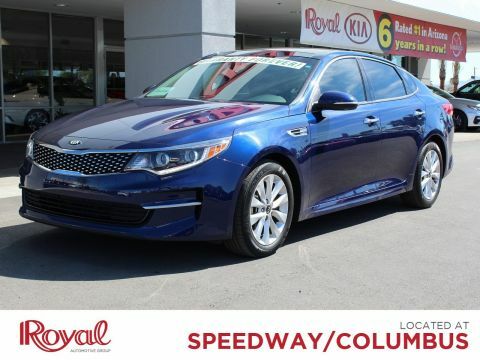 You won't have to second guess your purchase of this 2018 Kia Optima EX. 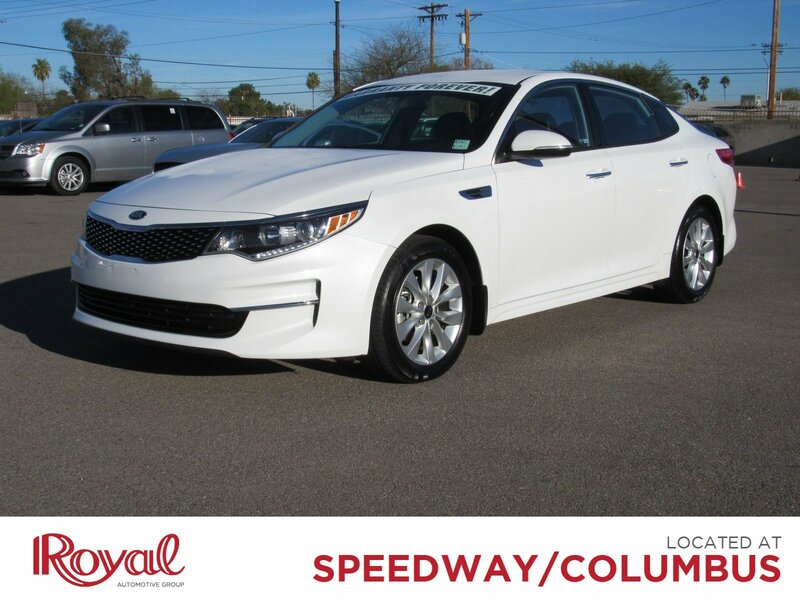 This Optima is a one owner sedan that comes with a clean Carfax and Warranty Forever! Warranty Forever is a powertrain warranty that lasts as long as you own the vehicle! At Royal, We believe you should browse and buy with complete confidence never having to pay for repairs for the most expensive components of your vehicle ever again. 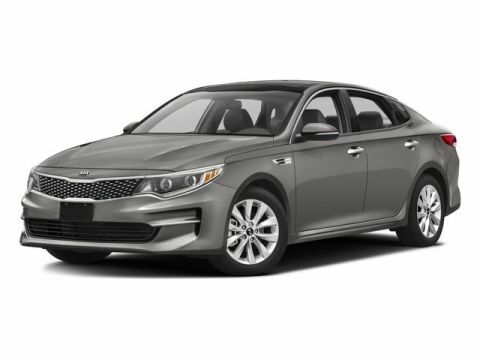 Highlighted features of this Optima EX include Aluminum Wheels, Daytime Running Lights, Automatic Headlights, Bluetooth Connection, Auxiliary Audio Input, Smart device Integration, Steering Wheel Audio Controls, Hard Disk Drive Media Storage, Keyless Entry, Multi-Zone A/C, Rear Parking Aid, Blind Spot Monitor, Cross-Traffic Alert, and a Back-Up Camera.Eliminate stress and save yourself some time with our no hassle buying process and no commission sales staff. Read what other shoppers think of Royal by visiting www.dealerrater.com Remember, this car features the Royal Certified Pre-Owned Warranty, a 72-hour Buyback Guarantee, and a Carfax History Report, so you know you can buy with confidence!This vehicle (PO29384) can be driven off the lot at Royal Kia, 4333 E Speedway, Tucson AZ 85712.Welcome to the Royal Family, The Dealership That's Different. MINI of Tucson is part of Royal Automotive Group. We are proud to offer Royal ONE: work with ONE person throughout the buying process, get ONE price, our best low price upfront, ensuring ONE great experience. Royal is proud to be ‘The Dealership That’s Different.’ We are committed to ensuring your car buying and most importantly, your car ownership experience is the best you’ve ever had! Welcome to the Royal Family. MINI of Tucson	32.207450, -110.893600.